As many of you are AcuRite users, myself included, I’m exploring the option to pull data directly from Acurite (instead of Weather Underground) in order to make it available to Rachio via pwsweather.com. This may be a good alternative down the road in case weather underground changes their API policies or more direct access proves to provide more reliable data. Please also make sure that sharing is enabled (at least at first). Sharing options can be found here (link). Saw a new PWS in Costco, anyone tried it yet? Well, it’s finally happening. I’ve added AcuRite support to the wufyi Beta (link). No longer will Wunderground be the only source of information available to wufyi users. I wish to thank @BuddyL33 for his support. 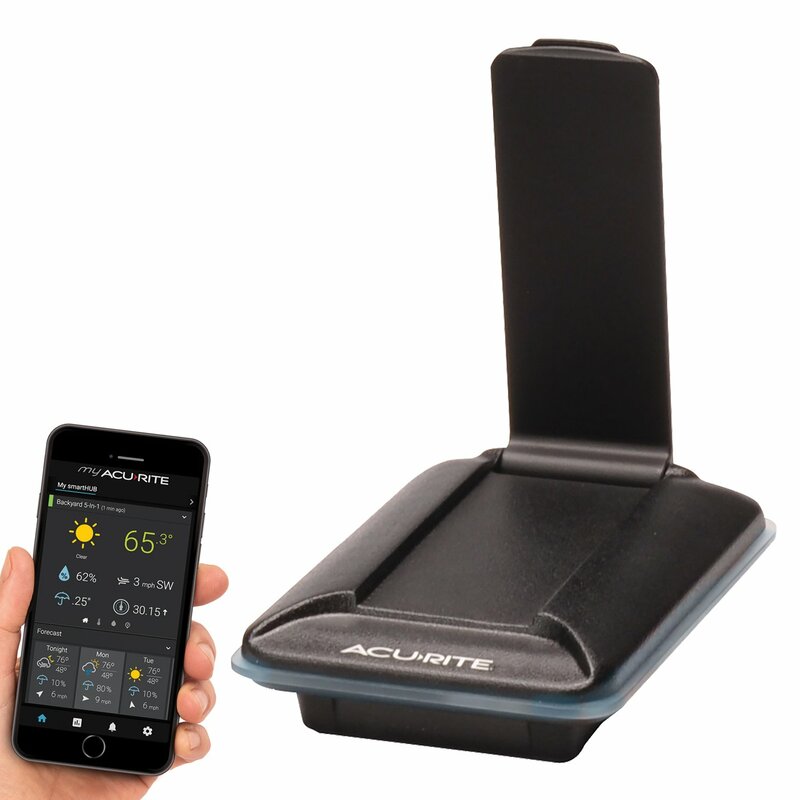 In addition to AcuRite support, beta is no longer relies on wunderground API interface, so fingers crossed data issues are a thing of the past, while simplifying the setup requirements. Is there a possibility this could happen with Weatherflow when they start shipping units? I’ll definitely try to support as many services as possible, weatherflow included. Send me a reminder to beta@wufyi.com when you start seeing useful data via their website. Excited about what looks like the ability to pull from any Weather Underground site, without needing a password or API key? Wufyi.com has been working awesomely to move data from my WS-1400-IP/Wunderground over to PWS. On Monday, a neighbor (497 feet away) setup his own WS-1400-IP, and for whatever reason, my IP Observer connects to his outdoor array, not mine. Ambient tech support says there’s no way to control which outdoor array it connects to. Neat, huh? So I’d like to just decommission my station (Grrr, it was working perfectly) and start moving data from my neighbors WUnderground Station over to my PWS station. Sounds like I won’t need anything from him to do that? Ouch, sorry to hear that @aristobrat, hope your neighbor is taking a good care of his PWS. If all goes well, official switch over will happen next Monday, though feel free to start using beta.wufyi.com (link) in the meantime. @Gene, wufyi.com is getting some love over on AcuRite’s community forum today. Someone there asked about how to have their Rachio see their AcuRite 5-in-1 over there, and the link to the mega-thread over here was posted. Any thoughts on creating a new “HOW TO”? Do you have a PayPal link or something where folks can leave a donation for all of your work? Thank you @aristobrat for your inquiry / offer of support. I do not know what the future holds for wufyi and if the site ever grows to the point where some sort of support will be need to cover operating (server) costs I may implement a PayPal link or something similar, but I don’t expect it to be anytime soon. In any case I will do everything I can to keep wufyi free to use as long as I have any say in that decision. If its not to much to ask, about how many users are you currently supporting? Hopefully as this grows, some of these manufacturers will see the need to work together instead of having an individual such as yourself creating a solution. It’s one of those, damned if you do, damned if you don’t, situations. I had no idea there were that many users. Your making a lot of people happy Gene. Beta methods so far shows a good quality / usability, but alas I’ve run into an emerging problem with which I need to deal with. This problem is described in detail here (link), but in summary it has to do with the load a 3rd party cron-job server is putting on the wufyi server. Unfortunately it does not seem that cron-job.org will implement any changes anytime soon. Many of you may have gotten an increasing number of email notifications about a 503 server error from your cron-job, this happens due to cron-job.org sending requests for processing in parallel during the first few seconds of every minute. This is particularly bad every 30 minutes (at the top of the hour, and 30 minutes later), when practically every schedule of choose coincides with each-other sending every single user to be processed within a few seconds of each-other. Unfortunately, the data source(s) for beta have an unfortunate disadvantage over an official wunderground API: data for beta source takes, on average, 2 to 3 times longer to retrieve. I would be happy to roll out beta changes to the main wufyi branch, but I expect a drastic increase in 503 errors in case I use it as is. It looks like beta period will have to be extended by up to a week as I implement / test the new method of scheduling / processing the data synchronization. Meanwhile new / existing users, should feel free to switch the cron-job URL to use the new beta.wufyi.com. Alas I can’t yet upgrade everyone automatically to the new code due to an expected increase of 503 server issue notifications. Some of you will have to continue using API based wufyi code for now, I’ll try to make sure it will not be so for long. Hi Gene, here’s a a suggested workaround, but people have to change their cron schedules. I set my schedule to a user defined schedule, running at 2, 12, 22, 32, 42, 52 minutes past the hour. None of those times will bump into the busiest standard interval frequency times. Choosing one of 1,2,3,4, 6,7,8,9 minutes past the hour would spread the load out. If wufyi users could stagger their cron schedules to reduce and spread out the load and help out Gene, he could upgrade sooner. Thank you jkb! I really appreciate your help. Unfortunately such manual definition is simply not practical on the large scale, plus (if enough people do it) it will simply shift the peak without addressing it (ideally the time shift should be random and/or equally distributed). For the time being, I advise that users of beta.wufyi.com switch to 2 minute schedule, this way there are at least 2 “tries” to capture every expected data point. Users of API based wufyi.com can remain on their original schedule. In any case for the time being, the best option is simply creating an email filter for “cronjob Internal Server Error” to avoid getting notifications about occasional misses. In any case I’ll try to expedite a fix for this, so I hope this will all not be needed in the near future. Edit: It seems that it was a good thing that beta did not go live today. Wunderground just removed (few hours ago) the interface being used by beta software. P.S. Issues with WU support at beta.wufyi.com has no effect on AcuRite support (which is working well).